1. Levin D, Looker HC, Lindsay RS, et al. Scottish Diabetes Research Network epidemiology group; Scottish Renal Registry. Estimated life expectancy in a Scottish cohort with type 1 diabetes, 2008-2010. JAMA 2015;313:37-44. 2. Writing Group for the DCCT/EDIC Research Group, Orchard TJ, Nathan DM, Zinman B, et al. Association between 7 years of intensive treatment of type 1 diabetes and long-term mortality. JAMA 2015;313:45-53. 3. Elliott J, Jacques RM, Kruger J, et al. Substantial reductions in the number of diabetic ketoacidosis and severe hypoglycaemia episodes requiring emergency treatment lead to reduced costs after structured education in adults with type 1 diabetes. Diabet Med 2014;31:847-53. 4. National Diabetes Audit 2011-2012. Report 1: care processes and treatment targets, 2014. Disponibile a: www.hscic.gov.uk/catalogue/PUB12421/nati-diab-audi-11-12-care-proc-rep.pdf. Ultimo accesso 29 marzo 2016. 5. National Institute for Health and Care Excellence. Type 1 diabetes in adults: diagnosis and management. (NICE guideline 17.) 2015. Disponibile a: www.nice.org.uk/guidance/ng17. Ultimo accesso 29 marzo 2016. 6. What is GRADE? BMJ Clinical Evidence. 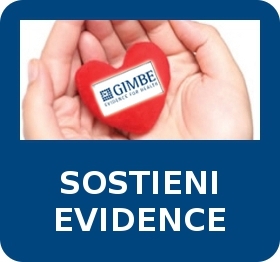 Disponibile a: http://clinicalevidence.bmj.com/x/set/static/ebm/learn/665072.html. Ultimo accesso 29 marzo 2016. 7. Savage MW, Dhatariya KK, Kilvert A, et al; Joint British Diabetes Societies. Joint British Diabetes Societies guideline for the management of diabetic ketoacidosis. Diabet Med 2011;28:508-15. 8. DAFNE Study Group. Training in flexible, intensive insulin management to enable dietary freedom in people with type 1 diabetes: dose adjustment for normal eating (DAFNE) randomised controlled trial. BMJ 2002;325:746. 9. Elliott J, Jacques RM, Kruger J, et al. Substantial reductions in the number of diabetic ketoacidosis and severe hypoglycaemia episodes requiring emergency treatment lead to reduced costs after structured education in adults with type 1 diabetes. Diabet Med 2014;31:847-53. 10. Kruger J, Brennan A, Thokala P, et al. The cost-effectiveness of the dose adjustment for normal eating (DAFNE) structured education programme: an update using the Sheffield type 1 diabetes policy model. Diabet Med 2013;30:1236-44. 11. Hopkins D, Lawrence I, Mansell P, et al. Improved biomedical and psychological outcomes 1 year after structured education in flexible insulin therapy for people with type 1 diabetes: the UK DAFNE experience. Diabetes Care 2012;35:1638-42. 12. National Institute for Health and Care Excellence. Diabetes in adults quality standard, 2011. Disponibile a: www.nice.org.uk/guidance/qs6/chapter/Introduction-and-overview. Ultimo accesso 29 marzo 2016. 13. National Institute for Health and Care Excellence. Continuous subcutaneous insulin infusion for the treatment of diabetes mellitus. (Technology appraisal guideline 151.) 2008. Disponibile a: www.nice.org.uk/guidance/ta151. Ultimo accesso 29 marzo 2016. 14. Gold AE, MacLeod KM, Frier BM. Frequency of severe hypoglycemia in patients with type I diabetes with impaired awareness of hypoglycemia. Diabetes Care 1994;17:697-703.